A Blessingway is a meaningful way for a pregnant woman to mark, honour and celebrate the impending change to her life. It is a special opportunity for her, together with her ‘sisters’ (the important women in her life) to participate in a women’s circle that is supportive and celebrates this milestone in her life with beautiful ritual. Women from all over the world have been sitting in circles throughout the centuries and derived great support and fulfilment from each other in this way. A lack of ritual in the West deprives us of these most meaningful and deeply satisfying experiences. Each Blessingway is a unique experience tailored to your needs and personality. 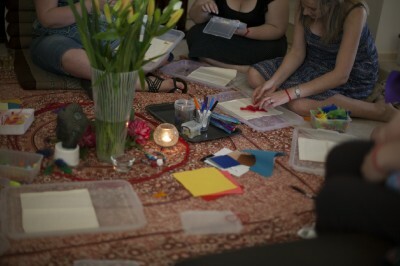 Packages include full facilitation and provision of all materials required for your women’s circle, which includes a birthing necklace and web of womanhood. 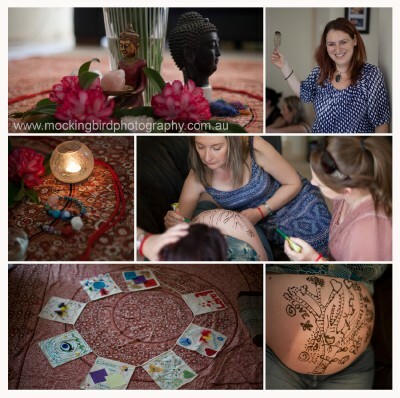 Additional extras include blessing flags, canvas art, pamper packages, henna or belly art and labouring candles. Please contact Sharon on 0402 456 243 or smularski@hotmail.com for further information, or alternatively CONTACT US and we will forward your enquiry.